So why is Fiat able to charge more for the slow-seller? 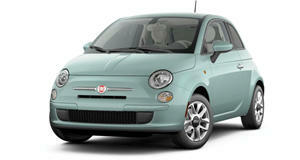 The Fiat 500 has been among one of the in the United States, perhaps because Americans don't love small city cars. The current 500 hasn't received a massive update since it arrived in the US back in 2012, and the car was already on sale for a number of years in Europe before coming stateside. 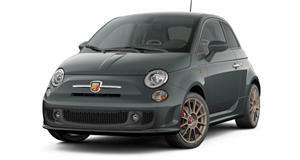 Fiat is trying to keep the 500 relevant with and year. Unfortunately, as reports, these improvements don't come for free. Despite slow sales, the base 2018 Fiat 500 is now more expensive than the 2017 model. Order guides show that the Fiat 500 Pop will have an MSRP of $16,245, which is $1,250 more than the previous year's price of $14,995. FCA has also increased its destination fees from $995, to $1,245, which pushes the 500 Pop with a five-speed manual up to $17,490, $1,500 more than last year. Since most people in the US will opt for the six-speed automatic for $995, the cheapest 500 most buyers will shop for is $18,485. This is more expensive than the larger, better equipped Honda Fit LX. Fiat will also be increasing prices at the top of the 500 range. The 500 Lounge will increase in price by $1,500, and the Abarth will increase by $750 to $20,990 and $21,740 respectively. Some of the price increases are justified, as the base 500 now comes with a 135-horsepower turbocharged engine, instead of a 101-hp naturally aspirated unit. The cars will also receive a sport-tuned exhaust and twin intercoolers, larger wheels, a sportier suspension, a standard rear camera, color-keyed bodywork, and a rear spoiler. Fiat seems to be fighting a losing game with the 500, but it seems like the company is making real improvements to help keep the car relevant.